Which boss did you like the most? It's actually from the soundtrack of a Sega game called Vectorman. Do you know it? A sound play as follows: DU DUNA DUUUUUU!!! is that a LOZ easter egg? Hey shadow flame, I advise you to remove the bob-omb before the keyhole in sandship shenanigans. You get the ice flower right before the bob-omb, and if you jump on it, then throw it, and freeze it while it's falling, you can skip to the key and the secret exit before even beating the 1st half of the level. TheNewGuy wrote: Hey shadow flame, I advise you to remove the bob-omb before the keyhole in sandship shenanigans. You get the ice flower right before the bob-omb, and if you jump on it, then throw it, and freeze it while it's falling, you can skip to the key and the secret exit before even beating the 1st half of the level. Good point! I got rid of it in the game on my PC. 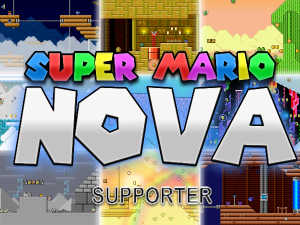 I'll update the download link once a sufficient amount of further changes have been made. Also, every boat/airship edge causes clipping. I have a problem, I installed the episode and I put it in the smbx 1.4.4 worlds file (and then extracted the rar file) but when I launch smbx and click on the episode name, it says: "ERROR Multiple startpoints found in the world map" does anybody has a solution for that? 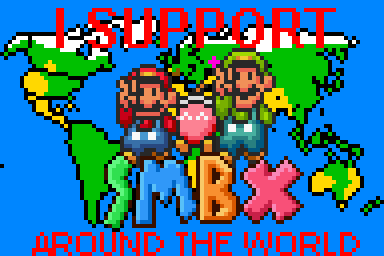 GreenyRyd wrote: I have a problem, I installed the episode and I put it in the smbx 1.4.4 worlds file (and then extracted the rar file) but when I launch smbx and click on the episode name, it says: "ERROR Multiple startpoints found in the world map" does anybody has a solution for that? Did you read the description? The game is intended for SMBX version 1.3.0.1, not 1.4.4 (download link for 1.3.0.1 is included in the description anyway). Try it with the correct version and let me know if you're still experiencing problems. Shadow_Flame wrote: Did you read the description? The game is intended for SMBX version 1.3.0.1, not 1.4.4 (download link for 1.3.0.1 is included in the description anyway). Try it with the correct version and let me know if you're still experiencing problems. Well, I did what you said but now when I launch smbx 1.3.0.1 and go to the world selector, the "Reigns of the Gatekeepers" has been replaced by a weird name with a lot of numbers somehow and when I click on it it says "subscript out of range." You basically ruined the episode files by transfering it to 1.4.4. Well I reinstalled the world file and extracted it to the 1.3.0.1 version without touching the 1.4.4 version and it still does the same thing. GreenyRyd wrote: Well I reinstalled the world file and extracted it to the 1.3.0.1 version without touching the 1.4.4 version and it still does the same thing. 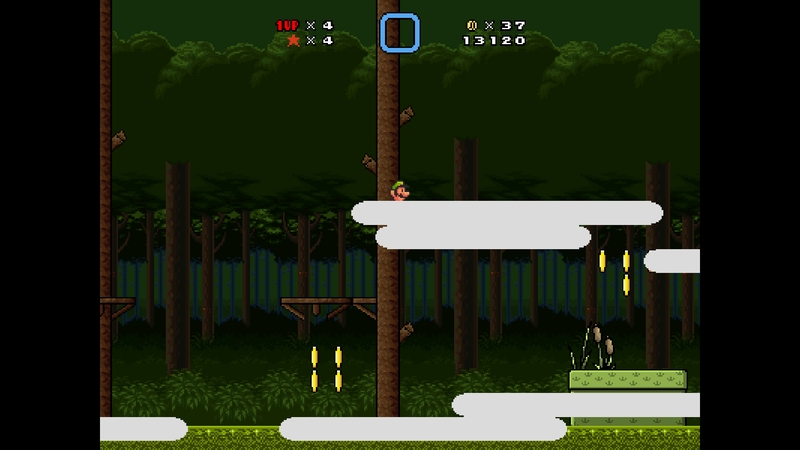 5) Go back to the mushroom icon for SMBX and launch the game. The name of my episode should appear then. Let me know if the steps above don't work. Last edited by Shadow_Flame on Sun Feb 18, 2018 10:19 am, edited 1 time in total. The links from the quote are broken. You could also skip step 3 and extract the episode into the worlds folder. TheNewGuy wrote: The links from the quote are broken. They're not broken, I simply put them in spoilers so they could still be copied and pasted into a new tab. Anyway, I got rid of the spoilers so that it's easier to access the downloads. I've reinstalled the game and the episode... and it worked! GreenyRyd wrote: Thanks! It works now. This is featured in the new wiki. Soon it will also appear on the "worlds" section. TheNewGuy wrote: This is featured in the new wiki. Soon it will also appear on the "worlds" section. Oh cool, do you know when the episode will appear on the website's worlds section?